KitchenAid 3-Piece Pasta Roller Just $109.99! Down From $250! PLUS FREE Shipping! You are here: Home / Great Deals / Amazon Deals / KitchenAid 3-Piece Pasta Roller Just $109.99! Down From $250! PLUS FREE Shipping! Amazon is currently offering this KitchenAid 3-Piece Pasta Roller & Cutter Attachment Set for just $109.99 down from $249.99 PLUS FREE shipping! No longer settle for pre-packaged pasta when making it fresh is easy and tastes so much better. 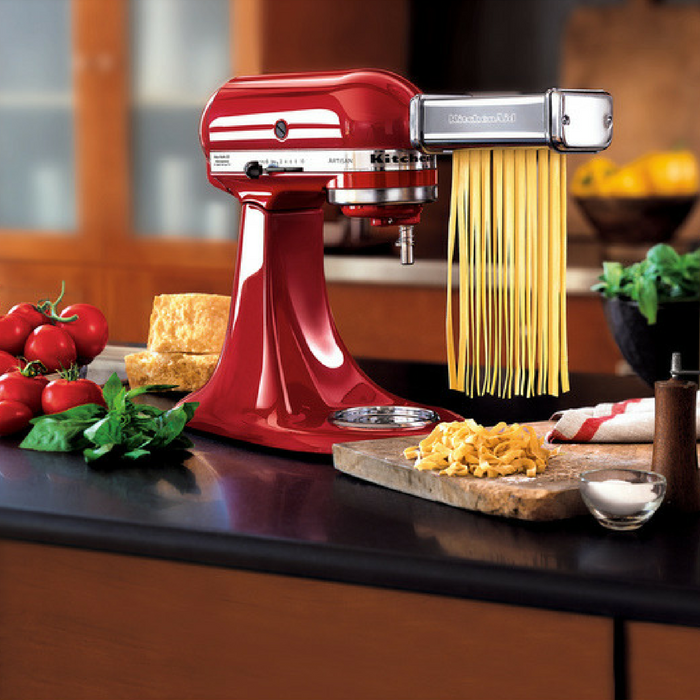 Powered by the KitchenAid Stand Mixer, the 3-Piece Pasta Roller and Cutter Set makes authentic, fresh pasta from scratch quickly and easily. Includes Pasta Roller, Spaghetti Cutter and Fettuccine Cutter. For everything you want to make!